Winner To Be Announced Tomorrow! Thanks to everyone who participated in the II Rising Stars Sammic Scholarship competition. We had over 100 very qualified applicants. The judges are hard at work deciding which of them will be the one to win the incredible opportunity to stage with the chefs of Xarma restaurant in San Sebastián, capital of the culinary world. You’ll have to wait until tomorrow’s announcement! Today is the final day to apply for the II Rising Stars Sammic Scholarship. What does the winner stand to gain? - A three-month stage at Xarma, one of the up and coming, most promising restaurants of San Sebastián. - The chance to live and work in Basque Country, Spain! Haven’t applied yet? Don’t worry, there’s still time. Requirements are listed here and include resume, essay, and a food blog post for entry. 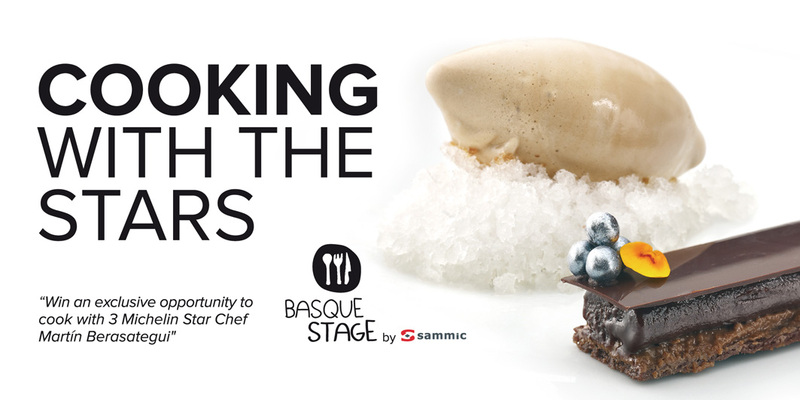 Send your application in today for a chance to Cook with the Stars in the Basque Country! 5. There are actually about a million miniature reasons to live in this region of the world. They’re elaborate, delicious, and they’re called pintxos (not tapas). 4. Don’t just do a stage. Get PAID to do a stage. 3. Practice your Spanish (and Basque). 2. Apprentice under two of the most passionate young chefs we know, Xabi Diez y Aizpea Oihaneder, and learn new techniques from them as you work the line in the kitchen. 1. Live in one of the world’s culinary capitals, which also happens to be one of the most beautiful places on Earth! 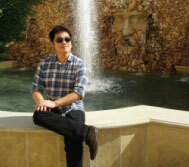 Our Sammic Rising Stars Scholar, Clifton Su, is finally here and settled in to Basque Country. Today he begins the real job at hand: staging. Clifton’s stage is under the passionate Basque chef, Roberto Ruiz. Instead of setting up culinary shop in the city of San Sebastián, chef Ruiz chose to remain in the countryside, which is where he has built a mini empire that Clifton will be exploring. Clifton begins his stage at TPT, a cafe and bakery. 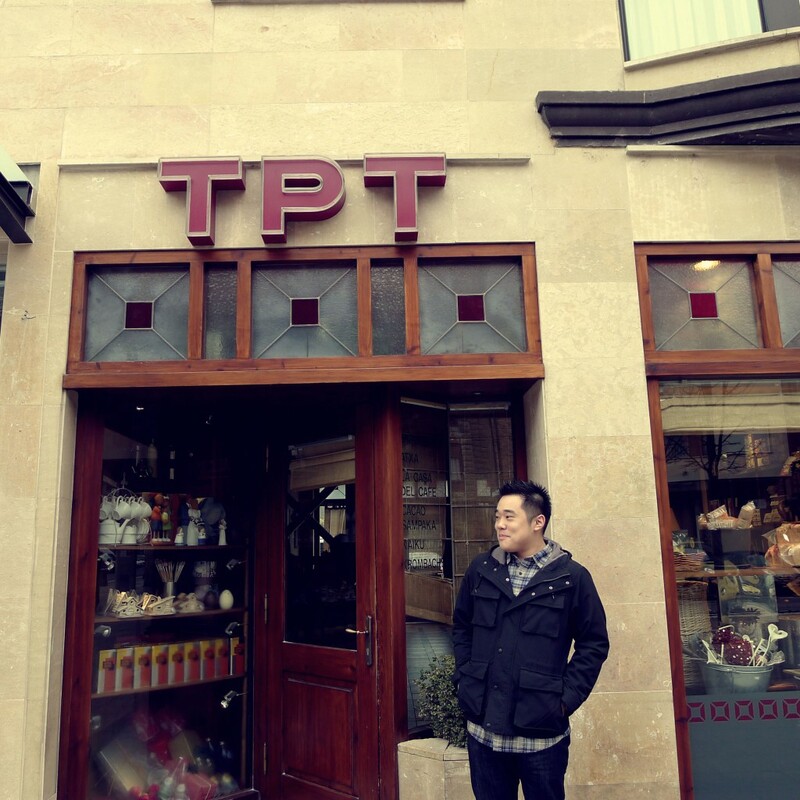 A staple in the village of Beasain for over ten years, TPT is a simple yet well-appointed bakery that makes bread from sourdough starter (somewhat of a rarity in Basque Country) and sweets. Alazne Zunzunegi is the second in command, and she will be taking Clifton through the ropes, from breadmaking to pastry. TPT is known for using local products, like farm eggs and milk from the neighboring village. Stay tuned here and to Clifton’s blog for updates! Rising Stars II….Less than a Week! The Sammic Rising Star II Scholarship opens in less than a week. Monday, December 17 to be exact. 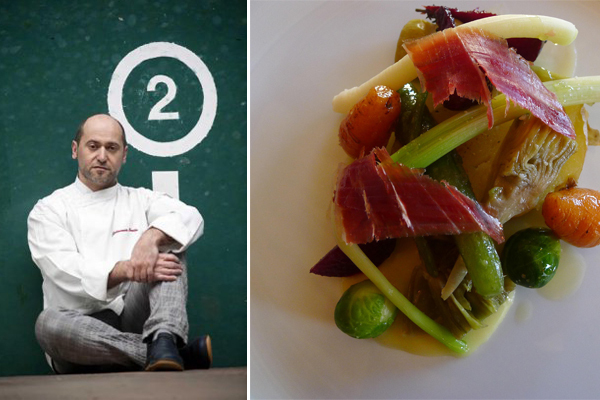 Three-month stage with Chefs Xabier Díez and Aizpea Oihaneder at Xarma Restaurant. Visits with local artisans and producers. 500 euro stipend per month. This is the Rising Star Sammic Scholarship’s second round, and we are proud to announce the collaboration of Xabier Díez and Aizpea Oihaneder at Xarma Restaurant. Anticipated Michelin-star favorites, these two dynamic young chefs run one of the most lauded and product-driven kitchens in San Sebastián. The address of their personal blog, including other social networks’ URLs and usernames if they desire to do so. A post in the candidate’s blog (if the candidate has no blog, in his/her newly created blog), in which (s)he shows how to cook a dish chosen by him/her. The post should include at least three photographs taken by the candidate, showing the process of the plate’s creation. A document in PDF format with an essay extending to a maximum of 1000 words outlining their motivations to present their candidacy to receive the Sammic Scholarship. Click here for more details on applying. Follow us and Sammic on Twitter for more details about the scholarship. 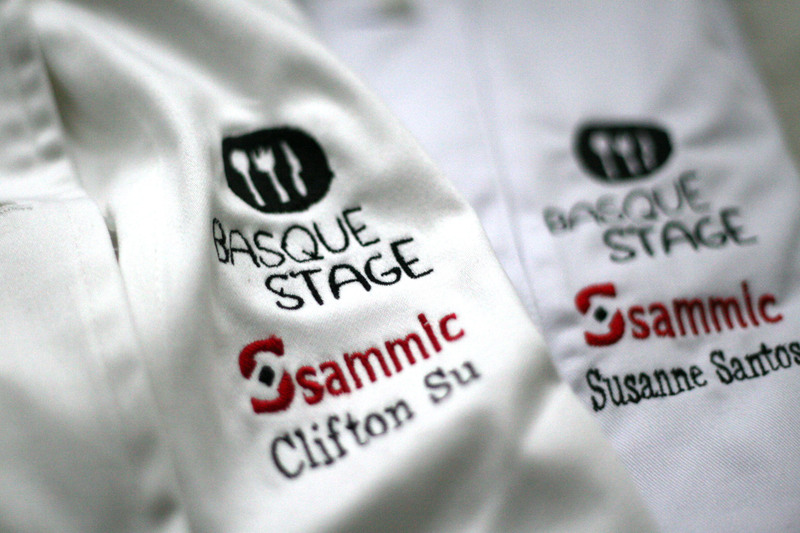 Finally, the announcement that you have all been waiting for…the winners of the V Sammic Rising Stars and Top Chef Scholarships for BasqueStage. 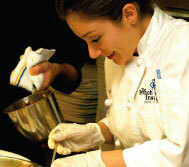 Susanne Santos is a graduate of The French Culinary Institute, where she graduated with a nearly perfect GPA. She has experience cooking under chef Jean Georges, among others. She is fluent in Portuguese and Spanish, and has even served on the event catering staff for the President of the United States. Clifton is a graduate of the Culinary Institute of America (Greystone), where he also served as a TA. 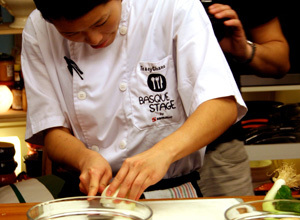 He has worked under chef David Chang at Momofuku Ssam Bar, and currently is working at the Wine Spectator Greystone Restaurant. He is fluent in English and Mandarin Chinese. Susanne, as part of her Top Chef Sammic Scholarship, has won a six-month stage at Chef Berasategui’s starred restaurant outside of San Sebastián, with all expenses paid. Clifton, winner of the Rising Stars Sammic Scholarship, wins a three-month stage with Roberto Ruiz, a dynamic, up-and-coming chef in the Basque Country, with housing and a monthly stipend. Both will also receive an instant platform via social media and blogs with which to communicate their experience, starting in January 2013. We wish them many congratulations, and we sincerely thank all of the amazing applicants we had this round of BasqueStage. The announcement of the new winners for the Sammic Scholarships for BasqueStage is coming so soon. Our candidates are on the edge of their seats, tweeting and blogging about just how anxious they are! And rightfully so…they’ve spent hours compiling some really incredible applications. Among the requirements was: essay, resume, a blogpost with recipe and food photos, and a video. 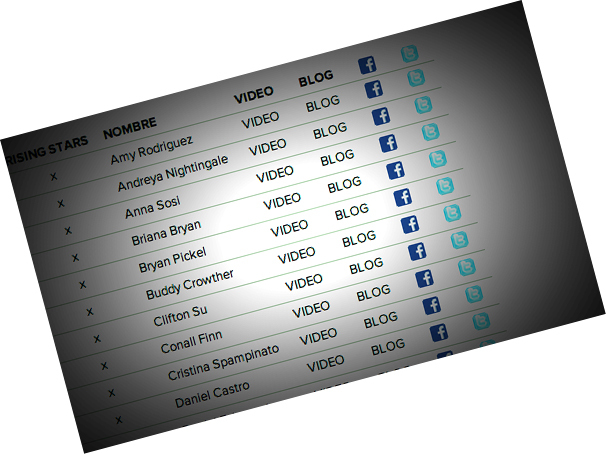 We’ve compiled the candidates videos and social media information for you to review here. Check it out, and leave us a comment about who YOU think is most deserving of our new Top Chef and Rising Stars scholarships!